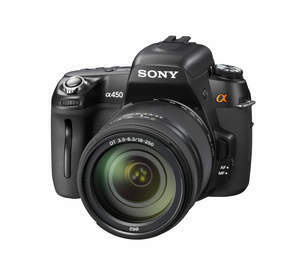 Previously reported as a rumor back in early December, the Sony A450 is now official! The newest DSLR camera addition to the Sony range teams flawless imaging with generous creative options. Powerful yet brilliantly easy to use, the DSLR-a450 is a perfect all-rounder when you're ready to take your passion for great pictures to a more advanced level. Ideal for active shooters moving up to their next DSLR camera, it's at home in any shooting situation, from relaxed portraits to fast-moving sports action. Inside the a450 is a high-resolution 14.2 (approx.) effective megapixel Exmor CMOS sensor. It's teamed with the powerful BIONZ processor to deliver highly detailed, ultra-low noise images. Sensitivity extends right up to ISO 12800, allowing you to capture beautifully natural handheld images in low light without flash. With a generous 95% field of view, the bright optical viewfinder makes framing and composition a pleasure. As an extra refinement, Manual Focus Check Live View previews clear, bright full-resolution images on the 6.7cm (2.7") Clear Photo LCD screen. With selectable 7x/14x on-screen image enlargement it's ideal for confirming pin-sharp focus with portraits, still life, macro and architectural scenes. The powerful BIONZ image processor enables high-speed continuous shooting at up to 5 fps (maximum -- approx. figure). In Speed Priority mode (with AF and AE set at start of burst) this increases to an amazing 7 fps (maximum -- actual speed depends on shooting conditions and media card). It's more than enough to catch sports and fast-moving action with ease. Creative options are enhanced with Auto HDR mode that accommodates bright highlights and dark shadow details in a single frame. Two successive frames shot handheld at different exposure values are merged automatically by the camera. 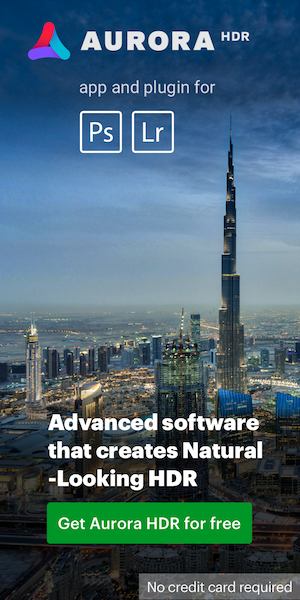 The result is a detail-packed High Dynamic Range image -- with no need for a PC image editor and specialists skills. In addition to fully automatic operation, the exposure difference between frames can be manually set up to 3EV, in 0.5EV increments. Featured right across the DSLR camera line-up by Sony, SteadyShot INSIDE offers up to 4 steps of anti-shake correction with the full range of 30 a lenses and two teleconvertors, as well as compatible A-mount optics by Konica-Minolta. The a450 also offers the most impressive shooting stamina of any DSLR camera by Sony to date. The high-capacity battery allows up to 1,050 shots between charges* -- plenty for a busy weekend's sightseeing. Slots for Memory Stick PRO-HG Duo and SD/SDHC memory cards (sold separately) are offered to suit users' personal shooting preferences. Connect the a450 to any HD Ready TV for a breathtaking big-screen view of your photos. PhotoTV HD optimises still image reproduction on compatible BRAVIA models, while BRAVIA Sync allows control of slideshow and other camera playback functions using your TV remote. Supplied software includes Image Data Converter SR; Image Data Lightbox SR; and PMB (Picture Motion Browser) for easy image management. The a450 is also compatible with the wide range of high-quality DSLR camera accessories by Sony, including flashes, carry cases, batteries and chargers, GPS and more. The DSLR-a450 digital SLR camera by Sony is available from the beginning of February 2010. Sony A450 to be released in 2 days? This entry was posted in Sony and tagged sony a450. Bookmark the permalink. Trackbacks are closed, but you can post a comment.